TORRANCE, Calif. /California Newswire/ — Today, Calif. Assemblymember Muratsuchi (D-Torrance), joined by Michael Rossi, Senior Advisor for Jobs and Business Development for Governor Brown, William Koch, Deputy Director of Legislative Affairs of GO-Biz and area Chamber of Commerce representatives, met with Aerospace Advisory Council Members to discuss California initiatives to support the aerospace industry and address specific areas for improvement. “The economic contributions, job opportunities and innovative possibilities attributed with the Aerospace Industry are key factors as to why we have to strive to maintain this essential industry in California,” stated Assemblymember Muratsuchi. 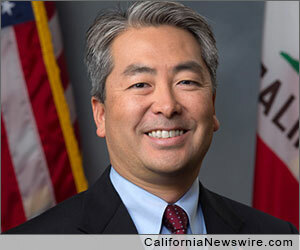 Assemblymember Muratsuchi, a lead author of Assembly Bill (AB) 93 which was introduced by the Assembly Committee on Budget and ultimately signed by the Governor this year, emphasized the continued need for California support to the aerospace industry. He highlighted AB 93, also known as the Governor’s Economic Development Initiative, as a step in the right direction. AB 93 institutes three new tax programs and incentives: a Sales and Use Tax (SUT) exemption for manufacturing and bio-tech equipment, a New Employment Credit and a California Competes Credit to assist in retaining existing and attracting new business activity in the state. While AB 93 serves as a resource to the Aerospace Industry, specific areas for improvement were also discussed and the Assemblymember shed light on the importance of his bill, AB 777, which would clarify that propulsion systems used in space flight are considered “inventory,” not subject to property tax. Please visit the Assemblymember’s website, http://asmdc.org/members/a66/ for more information.